Returning a license via Internet requires a direct connection to the Internet. Make sure that you are not connected to a proxy and that your firewall or network is not configured to block access to the Internet. 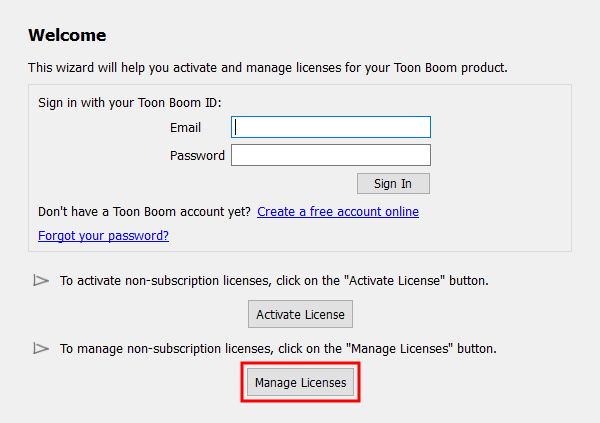 Otherwise, see Return a Local License via Email. A local license cannot be returned more than 5 times in a 48 hours period. Hence, it is recommended to avoid transferring your license frequently. 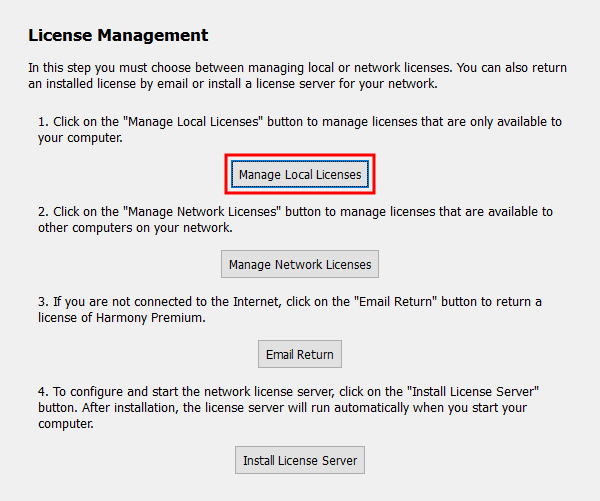 Click on Manage Local Licenses. 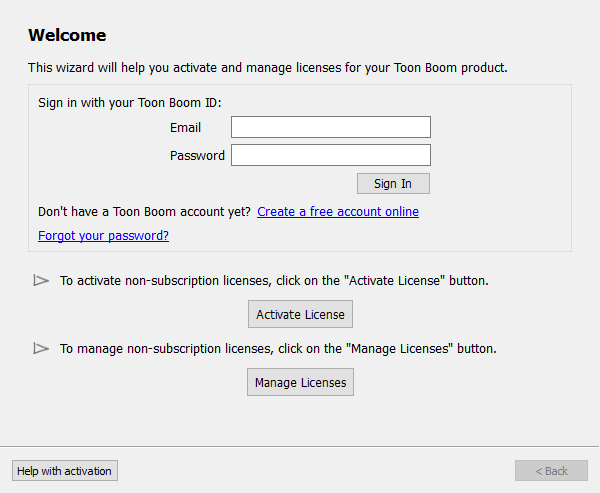 The Local License Manager opens and displays your product licenses.